The thin line between success and failure of forklifting operations can most often be traced back to the quality of advice offered by the equipment supplier at the time of the original purchase. With a bewildering amount of types of machines for mixed and varied applications and with diesel, gas or electric options, the decision to buy a forklift is not necessarily a straight-forward one. In reality, it requires considerable thought and technical knowledge to make the right decisions based on current and future requirements. 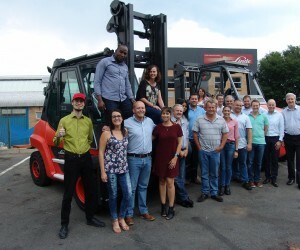 It is therefore not surprising that South Africa’s best-known forklift Brand, Linde Materials Handling South Africa (LMHSA), continues to invest heavily in training its front-line sales and service staff to help its customers make informed decisions when buying forklifts and continue being well-informed throughout the lifecycle of the equipment procured. 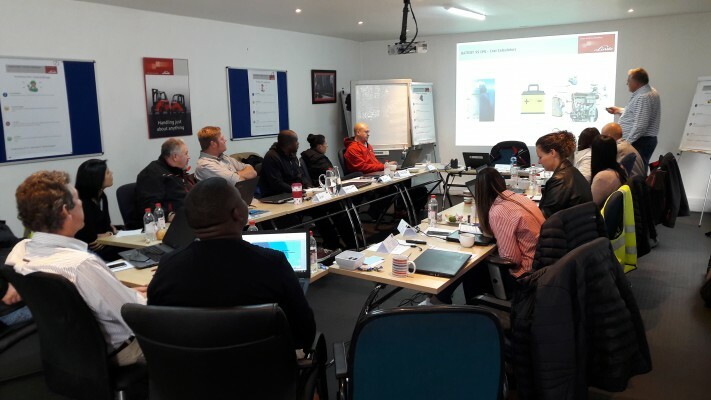 LMHSA sales director, Deon Klerck, says the most recent training initiative was aimed at the company’s sales force who underwent intensive training from two of the German company’s overseas training professionals. “In order to have a substantial advantage in today’s marketplace we have to give the right advice, quickly and in a manner that our customers understand all the requirements to make a successful purchase. “That is why this training was geared to help our sales professionals to understand different industries and market types, as well as storage and warehousing practicalities and a host of intricacies to further build upon their knowledge base. Through our overseas trainers we also want to expose them to worldwide best practices and solutions that may be applied locally as well. 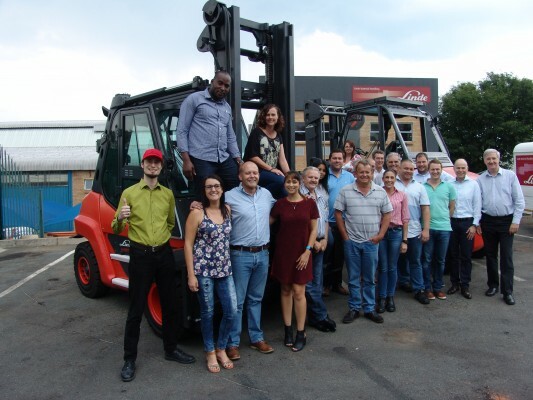 “The course comprehensively covered matching warehousing requirements to different forklift ranges from very narrow aisle trucks to order pickers, reach trucks, stackers and even powered pallet trucks. It also examined appropriate uses for reach trucks, stackers and other types, to ensure the right selections can be made for each new customer,” says Deon. He adds that in addition to these, the training also helped the sales staff to understand modern new solutions that are available to customers including the company’s latest Linde Connected Solutions, which is a sophisticated communications and data tracking system deployed for the purpose of increasing efficiency and safety, and as a result, the profitability of warehouse operations. Lithium Ion batteries will also be introduced in South Africa in the near future and although these batteries cost more than the conventional lead acid batteries, they last much longer and charge very quickly. As a result, the life cycle cost of Lithium Ion batteries is significantly less than conventional batteries and provide big opportunities for customers in terms of productivity and value-for-money. Practical workshops were also carried out giving the sales force the opportunity to drive the warehouse trucks. This helped to translate theory into practice by physically demonstrating the features and benefits of the equipment. “Equipping our sales force with in-depth knowledge to recommend the right product for a particular application and offer products and solutions that improve the efficiency and cost effectiveness of the customers operations has become a critical success factor in our industry as companies are looking for ways to improve their cost base and gain competitive advantages. “It also serves to underline our long-term commitment to our local customers as we are better able to build long term partnerships with clients and enable them to increase the profitability of their operations.